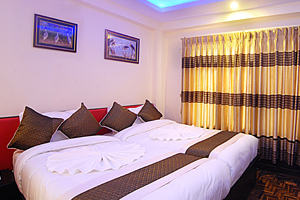 Having been possessed with tremendous experience in Tourism and Hotel Management, we have arisen with Hotel Gallery Nepal Nepal, a complete new taste for the guests. 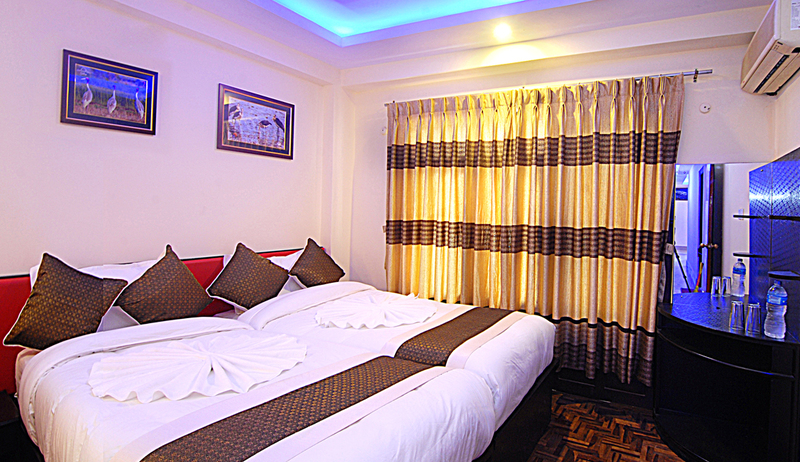 We strongly assure you that Hotel Gallery Nepal Nepal meets all the preferences of the guests. It is said’ satisfaction is gained through two ways: experiencing and witnessing and we own both within this hotel, Hotel Gallery Nepal Nepal.’ This hotel has distinctively been furnished with the magnificent cultural and pilgrimage arts from a famous Nepali artist, Jimmy Thapa, a man endowed with great craftsmanship who has produced hundreds of awe-inspiring arts portraying real scenario of Nepali culture and society. And you can have a complete glimpse of Nepali Culture and society at once in Hotel Gallery Nepal Nepal. Besides, most significantly, we have collected all the images of birds and wild animals that are found in Nepal. 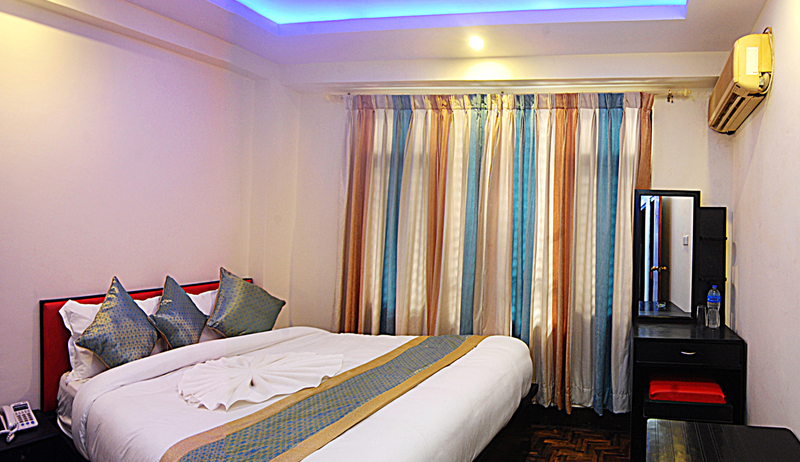 Hotel Gallery Nepal Nepal is located at the tourist hub, Z Street, Thamel which is the prime location for the visit of World Heritage Sites like Monkey Temple, Kathmandu Durbar Square and traditional market, Ason Bazar. Of course one needs recreation during his/her stay. 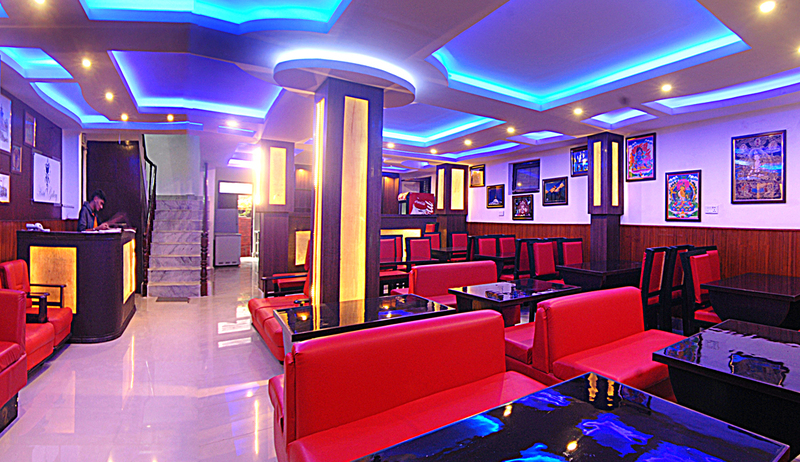 You can enjoy it near to the hotel as you can find a number of pubs, clubs, and discotheques with live music. 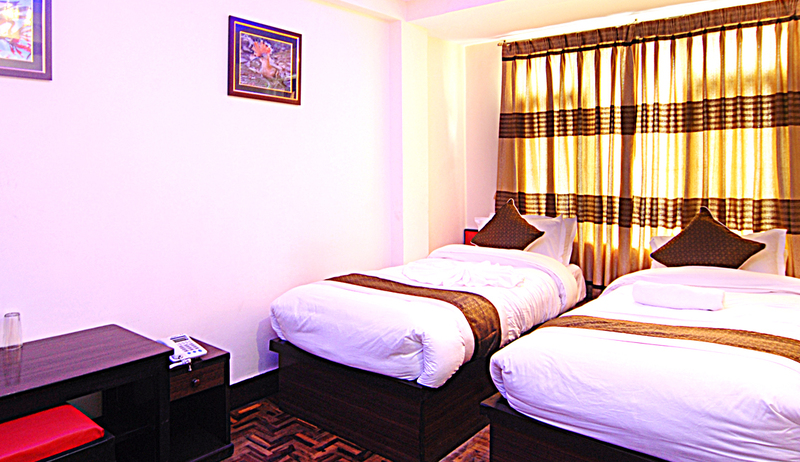 You also can have an easy access to a number of ATMs and Banks near to the Hotel Gallery Nepal Nepal. 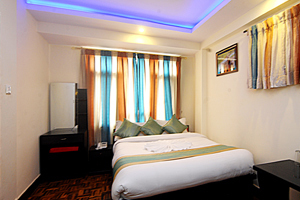 All the rooms are well-equipped the facilities like free Wi-Fi access, attach Bath-room with hot and cold shower and restaurant too. Claiming and experiencing and witnessing are quite different. Sometimes, claim may be wrong. 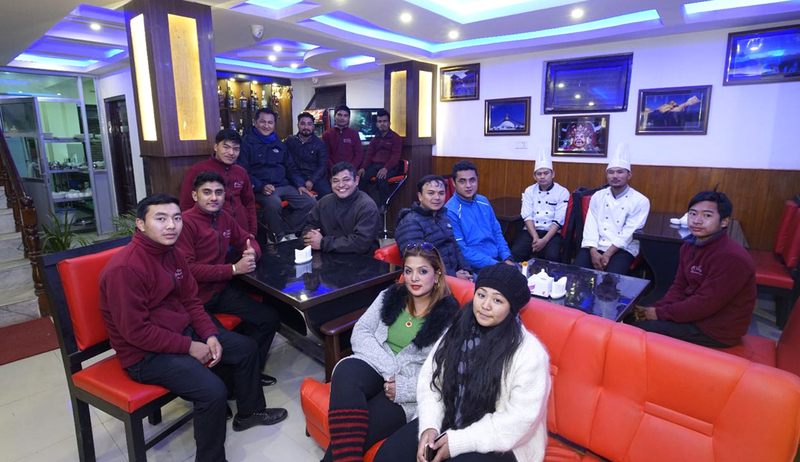 So you once be with us, experience and witness the world-class service catered by Hotel Gallery Nepal Nepal for your ultimate satisfaction. 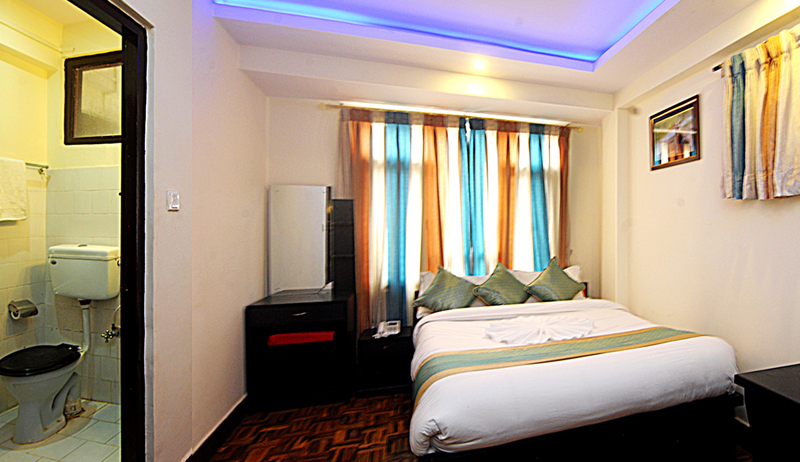 We offer a great list of facilties for your own comfort so you can have a great time at our hotel. 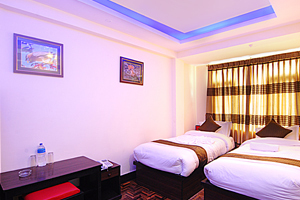 Enjoy your spare time with the facilities within the premises of hotel to get your mind refreshed and to maintain your health and personality. 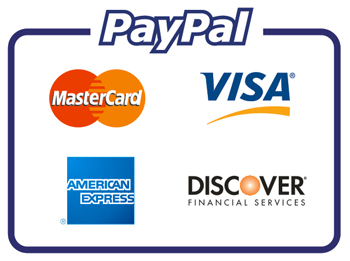 We have great washing machines and dryers for yours (and your fellow travellers') benefit. Everything just for you! Contains 1 single kingsize bed, private bathroom, Fan, Tea Table, flat screen tv, wifi access, hair dryer on request, wardrobe & towels. Contains 1 Double kingsize bed, A/C, private bathroom, Tea Table, flat screen tv, wifi access, hair dryer on request, wardrobe & towels. Contains 2 Single bed, Fan, private bathroom, Tea Table, flat screen tv, wifi access, hair dryer on request, wardrobe & towels. 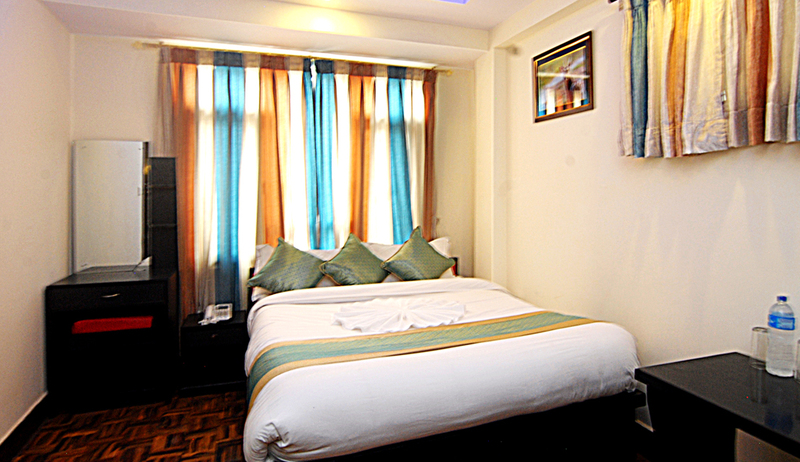 Contains 3 Single bed, A/C, private bathroom, Tea Table, flat screen tv, wifi access, hair dryer on request, wardrobe & towels. Contains 3 Single bed, Fan, private bathroom, Tea Table, flat screen tv, wifi access, hair dryer on request, wardrobe & towels. 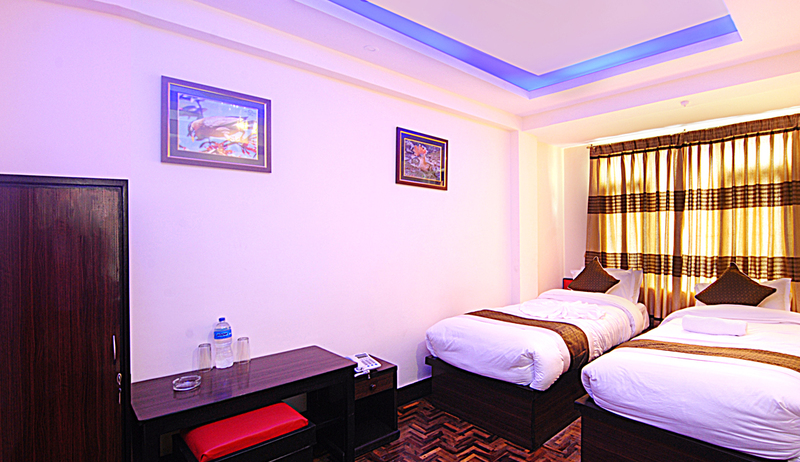 Designed and Developed by: Saroj Bhattarai © Hotel Gallery Nepal . All Rights Reserved.